The first Kickstarter from Bad Squiddo Games, this project is to fund a new range of 28mm Post-Apocalyptic female. AW Miniatures are looking to produce a new range of Eauropean Missionaries to add to their existing French-Indian War range of 28mm Miniatures. The project will also allow you get hold of packs of their existing FIW ranges at a discount. The project has almost doubled its £400 target, but you will have to be quick, as it ends on the 22nd November. Rebel Minis are producing a range of 3 different mech models (Scorpion, Spider, Wolf) which are scaled to be used with 15mm or 28mm miniatures. The project has already hit 400% of its $500 funding goal, and is due to finish on the 28th November. Delivery is due in March 2017. Effincoolminis are producing a set of 28mm fantasy miniatures based on the Kobold Press universe – with an initial goal of 20 minis, with a further 40 to be added as stretch goals. This project has reached almost 300% of its $7,000 funding goal and is running until the 11th December. Delivery is due in October 2017. The project is over 200% funded, and is running until the 8th December, with delivery in January 2017. Fans of Steve Jackson’s OGRE game have been wanting miniatures for years – now they get their chance. The project has already hit 300% of its $15,000 funding goal, and is running until 30th November. Delivery is due in July 2017. Grand Arcanum Games are looking to fund a new miniatures game about duelling wizards – think the fight between Saruman and Gandalf in The Two Towers. The project has a funding goal of £7,000, and is a third of its way to target at time of writing. The project is running until the 14th December, with delivery due in August 2017. Fusion Core Studios are producing a new Miniature Wargame – Heavy Gear: Dreadnoughts. It’s a new tabletop miniatures wargame simulating fleet-level battles in the far future. Players control armadas of landships, massive hovering fortresses bristling with weapons & troops. All the models are going to be produced in injection moulded plastic. The project is currently 33% of the way towards its $30,000 target, and is running until 18th December. Delivery is due in November 2017. Clear Horizon miniatures have relaunched their 15mm skirmish wargame, Sigma Event 2177, following a restructuring of pledge options, funding and stretch goals. It’s hit almost 120% of its $5,000 funding goal, and is running until the 11th December, with delivery due in April 2017. Here’s something a bit different – Rocket Miniatures are running 3 parallel projects to produce the same thing in 3 different ways. Sci-Fi Dungeon Moulds , Sci-Fi Dungeon Resin Pieces , Sci-Fi Dungeon 3D Files are three ways to gate the same scenery, either as moulds for resin, a finished article, or a £D prin files. They are all running until the 7th December, with delivery due in January 2017 for the files, and March 2017 for the moulds and finished products. The 3D Files is over 400% funded, the Moulds is 30% funded and the Resin Pieces hasn’t really got off the ground at all. An interesting way of triple marketing, but it seems that these projects may well be working against each other. Mercs Miniatures are looking to produce an expansion for their 3X boardgame (eXplore, eXpand, eXploit) with a sci-fi theme – Emergence Event. The project have reached almost 4x it’s $12,000 funding goal, but if you are interested in this you will have to be very quick, as the project is finishes on the 21st November. Delivery is due in December for those people whose pledge includes the base game, but the expansion will be delivered in May 2017. I.A.F. Leader is the latest in a series of “…Leader” games from DVG, including Phantom Leader and Hornet Leader. Players plan and fly air combat missions in a series of campaigns. The biggest difference is that these games are designed to be solo games, so no playing partner required. 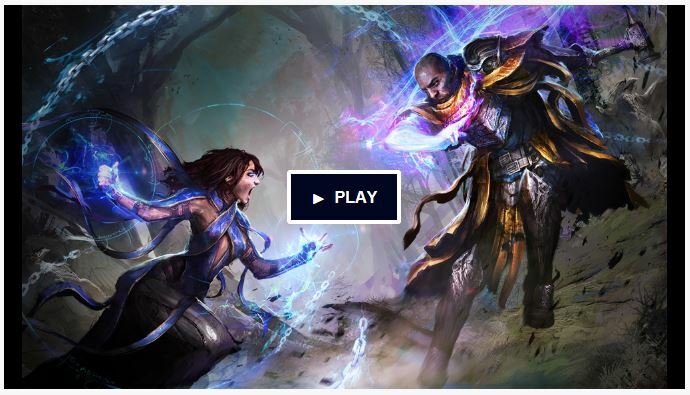 This project is at 65% of its $20,000 funding goal, and is running until the 2nd December. Delivery is due in March 2017. TRBO: The Rival Bikers Overdrive! Chibis on motorbikes – what’s not to like in this retro-style racing game. The project is reached just over 10% of its $55,000 funding goal, and is running until 13th December. Delivery is due in May 2017. Aimed at Guildball players, this project is to fund some resin goals, for those gamers who fancy having an unusual goal post, but do not have the modelling skill, or time, to create their own. The initial project covers Masons and Brewers Guilds, but other Guilds are covered by Stretch goals. The project is already passed its funding goal of £750, and is running until December 2nd, with delivery due in March 2017. Another Kickstarter for owns of 3D Printers – this one to produce a modular display system for your miniatures – something a bit different. This project has reach 45% of its $1,000 funding goal, and is running until 7th December. Delivery is due almost immediately on the completion of the project.